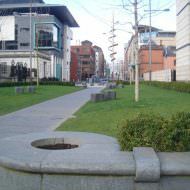 Lower Chichester Street connects Chichester Street / Victoria Street to Oxford Street, running alongside the Royal Courts of Justice, Bar Library and Laganside Magistrates Court. 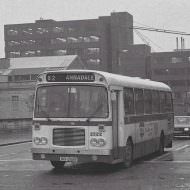 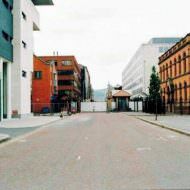 The street was closed to traffic in the 1980s to increase security around the court buildings. 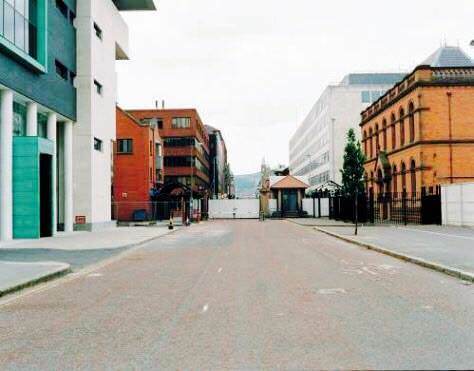 The Laganside Corporation appointed URS Scott Wilson to explore opportunities to reopen the street. 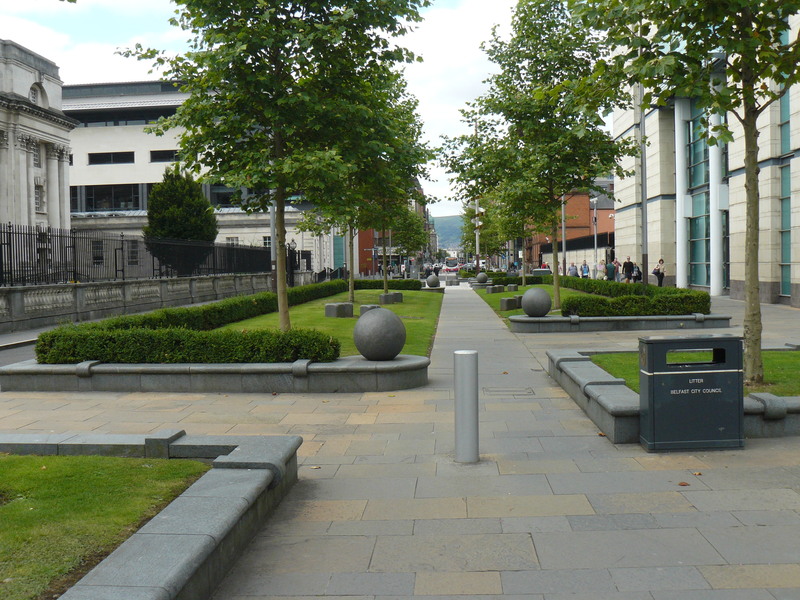 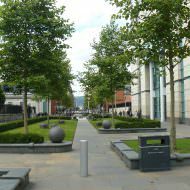 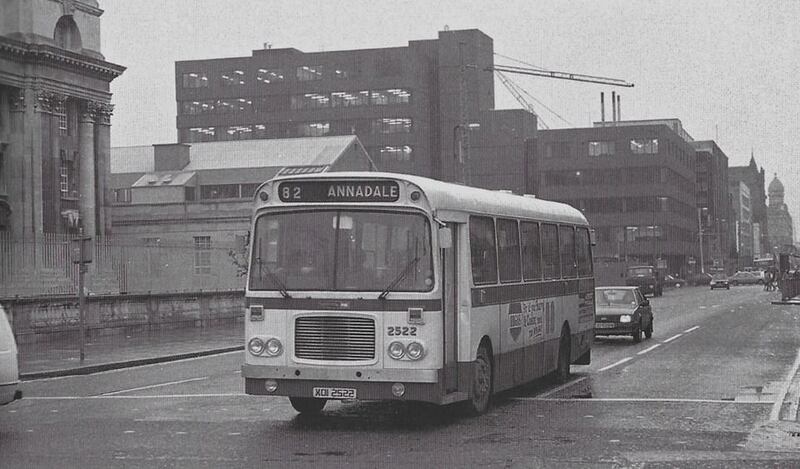 A £1.5m public realm scheme was designed in 2006 and the Department for Social Develop­ment contributed £1.36m through the Laganside Corporation to implement the scheme. 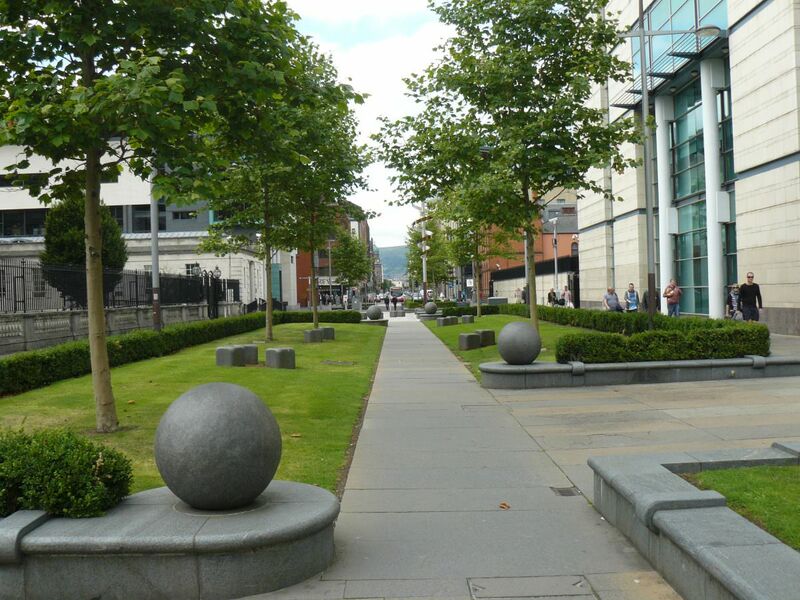 The Court Service and NIO contributed £70,000 each and DRD Roads Service oversaw the works. 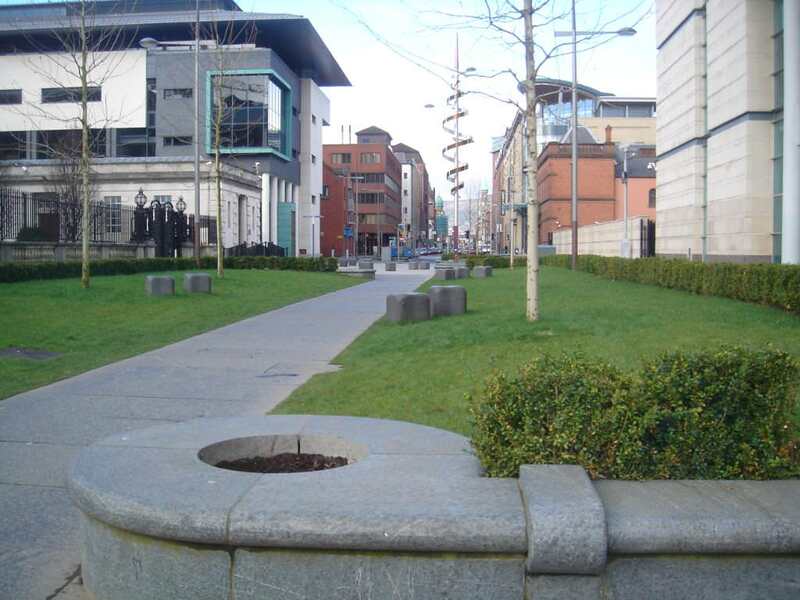 FP McCann commenced works in November 2006 to remove the redundant security bollards and sangers and install ??? 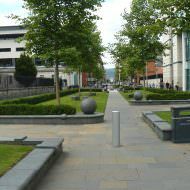 new granite paving, raised lawns, seating, trees and lighting. 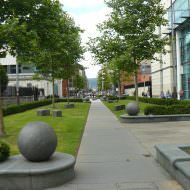 The completed scheme provided a landscaped pedestrian and cyclist route alongside an eastbound bus-only lane from Chichester Street to Oxford Street. 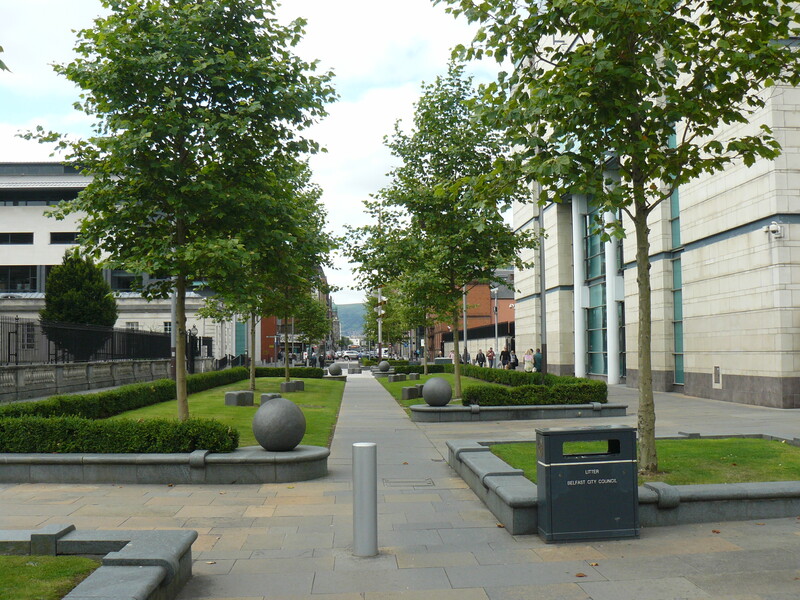 The bus-lane was closed in April 2010 for security reasons and buses re-routed via Queen’s Square.